1. Microprocessor intelligent control, exactly control. 2. Anti-surge protection, short-circuit protection and reversed polarity protection. 3. Overload protection, Overcharge protection, overdischarge protection. 4. Turn on light at dask automatically and turn off light at dawn automatically according to light intensity. 6. 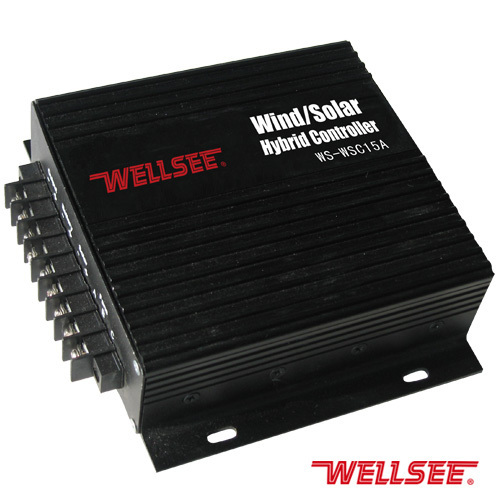 Recognize the wind turbine charging voltage and charging current exactly with safe and complete multiple wind turbine brake protection system.